As the average tenure of a CMO continues to decline, it’s critical that CMOs strive to meet the expectations of their board and provide insight into both the health of the company and the voice of the customer. But have you ever wondered exactly what your board wants to hear from your CMO or what they believe the CMO’s job should be? The February TMA event delved into this exact question. Brian kicked off the event by asking the speakers to share what they see as the role of the CMO and to define what areas the CMO should be held accountable for. The panelists seemed to agree that the CMO should be responsible for product management, marcom, demand generation and strategic marketing – though it’s rare to find an individual with expertise in all of these areas. In earlier stage companies, demand generation is usually the most important CMO responsibility; later on, building the brand becomes equally critical. CMOs see the world differently than most other executives. Board members count on them to be able to comment on trends, competitive influences and to be able to provide input on the overall health of the company. At the same time, CMOs are expected to serve as the intersection between the product team and the customer and to serve as the “converter” between the product pipeline and the reasons clients buy. Mark also shared that CMOs are more likely to have a seat at the executive table these days. They are a core part of the team that defines and builds a company’s value proposition, including value-based pricing, market-entry tactics and product management. The discussion then turned to metrics. Typically, the CFO or head of sales shares most of the company metrics, and board members expect a CMO’s presentation to be more qualitative. However, a CMO needs to understand and be able to comment on the core sales metrics as appropriate. Panelists mentioned CAC (customer acquisition costs), LTV (lifetime value) and churn as key metrics for many SaaS companies. Some of the audience members threw out some other metrics as well. Net Promoter Scores (NPS) can be a measure of brand health. Customer engagement scores that measure how much clients are using the product, (logging in, time spent in software, etc.) how frequently they are calling support, and what types of questions they are asking can all be indicators of churn. TechTarget will measure consideration scores – how many companies are considering purchasing your products. It’s also important to take note of less tangible metrics, including what analysts or product reviewers are saying about a particular solution. Board members tend to be skeptical of overly optimistic metrics, or metrics that fall outside of the historical norm. It also raises a flag if the CMO shares a “flavor of the month” – different metrics at each meeting — or states that all of their organization’s metrics are trending up. A little bad news is OK and expected. Board members see CMOs as the “canaries in a coal mine,” revealing potential problems in their companies (sometimes unwittingly). For example, inexplicable peaks and valleys in a company’s growth trajectory tend to be revealed in the CMO’s presentation. Speaking of presentations, the panelists also suggested that CMOs should use those moments to look forward rather than in the rear-view mirror. Metrics like MQLs (marketing qualified leads) give board members a sense for future company growth. During the course of the chat, the audience had several questions pertaining to marketing’s overall hierarchy within an organization. For instance, there were a few questions from the audience about the ideal organizational chart as it pertains to marketing. The panelists shared that while customer success is a type of marketing, these groups don’t always report into marketing – and that’s OK. Board members are more interested in knowing that account expansion was contributing to overall revenue growth. There was also a question about the role of the Chief Revenue Officer (CRO) and whether marketing should report to this person. The panelists agreed that “CRO” is just a fancy word for “VP of Sales,” and that marketing should be independent once companies reach a certain size. In addition, the board members on the panel felt strongly that product management should report to marketing because marketing is closer to the customer. If the PM team reports to engineering, the group often becomes too focused on features. 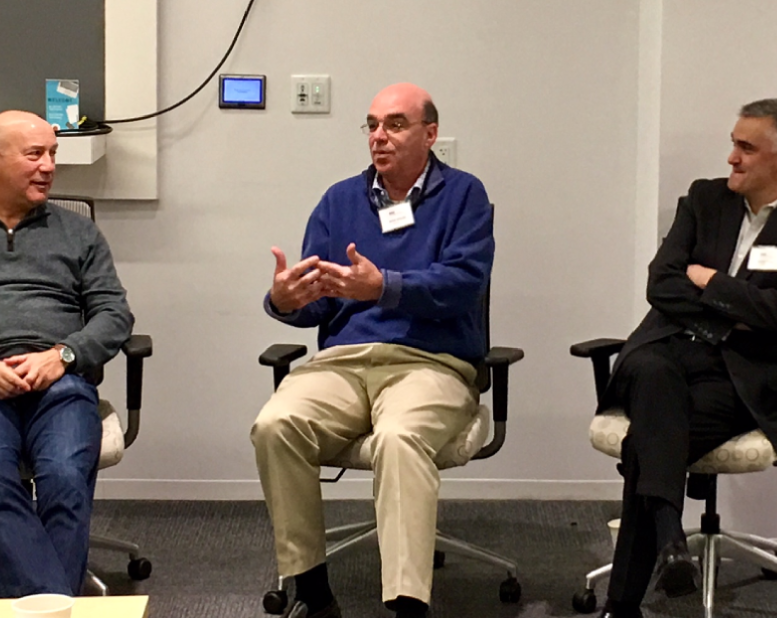 In response to a question about value-based pricing, the panelists described a typical scenario. Initially, companies will sell at any price in an effort to get customers. To determine value-based pricing, CMOs need to consider list price, deal value, ROI, customer feedback and peer pricing. As decisions are made, the board will poke at certain things (such as pricing) to ensure that they remain top of mind. The last question for the group gave the panelists a chance to share what they are looking for in a CMO. First and foremost, they are looking for the CMO to share their vision for their company. They also expect the CMO to fill an important internal function as chief communicator and information gatherer, particularly in a small company where everyone should know what’s happening within all sectors of the organization. This is motivating to many and can help with employee engagement and retention. Alignment with sales is also critical, and Sever pointed out that it’s easy to spot an isolated CMO. Sever’s parting words provide the perfect segue for our next TMA event on “What Sales Wants from Marketing,” scheduled for the morning of March 21. We hope you’ll join us as we continue the conversation about the role of the CMO and alignment with sales. See you there!